Many customers complained that our hot products were sold out quickly. Yes,when you find its picture and you want it but you can not get it just because it has been sold out, and things always like that makes you disappointed. Romwe is trying to cope with this problem and do a better service for you. These new arrivals will have a big stock and less time to be prepared. Hope you love them. If sold quickly is because they are good! I love all of these, they are gorgeous! they are gorgeous! I love the studded skirt! That's a great selection. Love the shorts. Cute blog. Am your new follower. Do check out my blog and follow back if you like. Thanks for visiting my blog! I loved yours! And I'm following!!! seu blog é lindo e ótimos conteúdos. parabéns! fiquei muito feliz com o seu comentário. obrigada pela visita. Nice... I can see that you care your customers.. Congratulations..
Que peças lindas!!! Amei a echarpe de caveiras!!! Hey! Thanks for your visit and the compliments! Your blog is amazing, many inspirations in clothes and looks! You have a great blog guys and nice clothes.Keep up the good job!I'm following you. Adorei tudo aqui também rs!! Lindas peças hem. These items look fantastic! I really should order something for the first time. I've already seen so many amazing items. Cool pieces, everything looks great and will be perfect to wear for the Fall season. Thanks for sharing. The black lace top is gorgeous and would be worn soooo much. OMG everything is soooo cool!!! Definitely will make an order!!! You store is the best ever!!!! Love so much about your clothing. Modern lines and unique shapes. 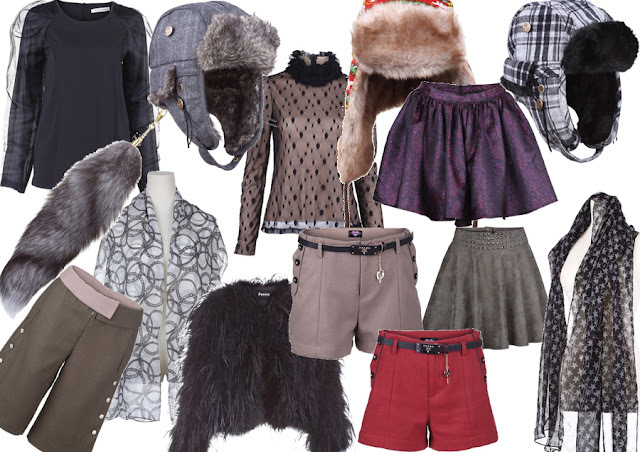 But my favorite items are those taupe grey and cranberry red shorts, could see myself wearing them with tights in winter and bare legs in summer. A truly forever and season-less item. I also very much appreciate you taking the time to view my blog!